John Treadwell, the only son of Ephraim and Mary (Porter) Treadwell, was born in Farmington, Connecticut on November 23, 1745. Ephraim and Mary were married in Farmington on April 30, 1741. Ephraim was commissioned as a Captain in the Farmington militia and served during the French and Indian War. The Treadwells attended the Farmington First Congregational Church and instilled in their son John a strong devotion to religion. He is often considered to be the last Puritan governor of Connecticut. In 1740, Ephraim had purchased “certain pieces or parcels of land and several buildings”1 in the Poke Brook section of Farmington. There the Treadwell family lived in a small red house that is described as having had “the distinctive seventeenth century features of three end windows in a row, the windows close under the eaves, and a long sloping roof.” 2 It was in this house where John Treadwell was born. John Treadwell attended the local village school. When he was sixteen, his father gave him a week to decide whether or not to attend college. John chose to receive an education, and he prepared for college under the instruction of the Reverend Timothy Pitkin, a son of former governor William Pitkin. As a young man, John Treadwell attended Yale College. After graduating in 1767, he studied law with Judge Titus Hosmer in Middletown but decided not to pursue a career in the field. 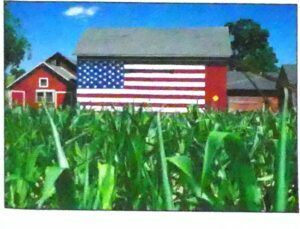 Instead, he chose to work on his family’s farm and to teach in local schools. On November 20, 1770, John Treadwell married Dorothy Pomroy, of Northampton, Massachusetts. They had four daughters, Dolle 1st, who died at just three years of age; Dolle 2nd; Eunice; and Mary, and two sons, George and John. George’s son, Thomas Treadwell, later became Farmington’s Town Clerk. The Treadwell family also came to have business interests in Albany, New York. John Treadwell’s service to the colony of Connecticut began in 1776, when the town of Farmington elected him to serve as the town’s representative in the General Assembly. The Revolutionary War had just begun, though relations between Great Britain and the American colonies had been deteriorating for several years. Treadwell was an ardent patriot. In 1774 and 1775, he had been a member of Farmington’s Committee of Inspection and Correspondence. The town of Farmington re-elected Treadwell to serve as Representative each year until 1785, when he was elected to the Governor’s Council of Assistants. In addition to this post, in 1777, Treadwell was appointed a Justice of the Peace for Hartford County. In 1784, Treadwell was appointed Judge of the Farmington Probate Court. Treadwell took his responsibilities to heart and saw the appointment as a way to promote justice and humanity. He enjoyed this position immensely, as he was able to directly help widows, orphans, and the less fortunate in society through handling wills and estates, and served for twenty-six years. When the Treaty of Paris was signed in September 1783, ending the Revolutionary War, Connecticut citizens rejoiced. The country was free of British rule and had to come to terms with how to best govern the new republic. 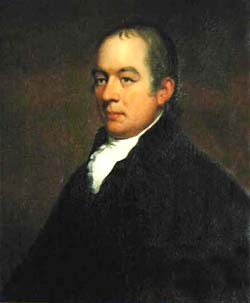 In 1785 and 1787, Treadwell was elected a delegate to represent Connecticut in Congress to help decide these issues, but he did not attend the sessions. In January of 1788, he was a member of the state convention that met in Hartford and ratified the United States Constitution. Treadwell’s interest in education also led him to become a founder of the Connecticut Academy of Arts and Sciences, which was incorporated in 1799. 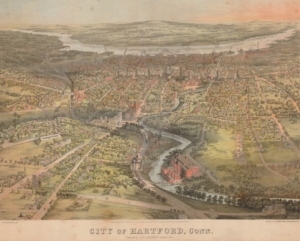 The following year, the Academy began an ambitious project, the end result of which was to be a compilation of statistical and historical facts for each town in Connecticut. A letter and an accompanying questionnaire were sent to a representative citizen in each town, asking that the survey be filled in and returned to the Academy. For the town of Farmington, the letter was sent to John Treadwell. He, with help from others, completed the account. However, interest in the project waned, and nothing came of the accounts for over 200 years. In 2003, the Connecticut Academy of Arts and Sciences did finally publish many of the accounts in the book Voicesof the New Republic: What They Said, Vol. I. The account Treadwell and others prepared for Farmington is included. Treadwell was appointed a Judge of the Hartford County County Court in 1795. He served as Judge until 1798, the year he was elected Deputy Governor. 1798 also saw the formation of the Missionary Society of Connecticut, the oldest such society in the country. Treadwell’s strong religious beliefs led him to become actively involved in the formation of the Society, and he served as its President from 1798 until 1822. During this time, the northern portions of Vermont and New Hampshire, as well as all of western New York, were considered new settlements, and many of the new settlers came from Connecticut. Missionaries from the Congregational Church were sent to their communities “to promote Christian Knowledge,” 3 and convert those not of the same faith. In addition to their religious message, the missionaries were also seen as a way to bring New England values and ‘steady habits’ to the new settlements. This view was supported by the Federalist Party, of which John Treadwell was a member. The Federalists believed in a strong central government and looked to preserve traditional ways. Members of the opposing party, the Jeffersonian Republicans, were against the idea of a strong central government. They felt that the new government served the interests of the wealthy rather than the common man. The Republicans also disapproved of the missionaries. They felt that they were pushing Federalist politics with religion. As a result, the rift between the two political parties steadily grew. On August 7, 1809, the popular governor, John Trumbull, Jr. died. Treadwell, who was serving as Deputy Governor, was selected by the General Assembly to replace him. He was elected in his own right the following year, receiving 10,265 votes to 7,185 for the Republican candidate, Asa Spaulding. During Treadwell’s term as governor, the United States moved closer to war with Great Britain. 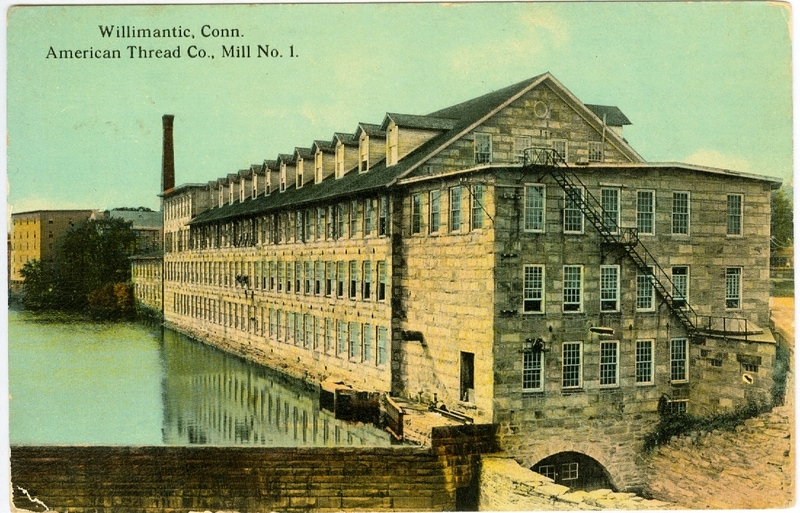 The thought of war was unpopular in Federalist Connecticut, a state whose shipping industry depended heavily on foreign trade. A strong cultural bond also existed between Connecticut and the former mother country. When the United States government enacted laws to restrict trade with foreign countries, the Connecticut General Assembly passed resolutions denouncing them. Treadwell, and many others in Connecticut, were dismayed when war was officially declared against Great Britain in June of 1812. In the 1811 Connecticut elections, Treadwell was defeated by Roger Griswold. It was the first defeat of an incumbent governor since 1786, when Roger Griswold’s father, Matthew Griswold, was defeated by Samuel Huntington. Roger Griswold was also a Federalist, but he received the support of the Republican Party after their candidate, Asa Spaulding, declined the nomination. Part of Treadwell’s problems came from a perception that he was too religious and applied his faith to his official duties. While this was not a concern for governors in an earlier era, it was by the 1800s. Despite his defeat, Treadwell was still honored by the General Assembly “for his many eminent services rendered this State in the various important offices he has sustained, more especially while Governor of this State.”4 Treadwell returned to private life in Farmington, although not for long. The town elected him to again serve as Representative in 1814 and 1815. Treadwell’s last public service to Connecticut came in 1818, when he was elected as a delegate to the convention that drafted a new constitution for the state. His wife Dorothy passed away in 1829 at the age of 84. She is buried next to her husband in the Old Farmington Cemetery. 1 Microfilm copy of Farmington Land Records, Volumes 6 & 7, 1736 – 1750. Vol. 6, page 228. CSL number 1195. LDS number 0004218. 2 Hurlburt, Mabel S. Farmington Town Clerks and Their Times, pages 312 –313. 3 Ericson, Jack T. Missionary Society of Connecticut Papers, 1759-1948, A Guide to the Microfilm Edition, page 3. 4 The Public Records of the State of Connecticut, Volume XV, 1810-1811, page 191. 5 Connecticut Courant, August 26, 1823, page 3. Akagi, Roy Hidemichi. The Town Proprietors of the New England Colonies. Philadelphia: University of Pennsylvania, 1924 [CSL call number HD 194 .A61923]. Bickford, Christopher P., et al. eds. Voices of the New Republic: Connecticut Towns, 1800-1832. 2 vols. New Haven: Connecticut Academy of Arts and Sciences, 2003 [CSL call number History Reference Q11 .C85 vols. 26-27]. Clark, George L. A History of Connecticut: Its People and Institutions. New York: G.P. Putnam’s Sons, 1914 [CSL call number F 94 .C59]. The Connecticut Courant. Hartford: Hudson and Goodwin, 1794-1914 [CSL call number AN 104 .H3 C68 Newspaper Microfilm]. Ericson, Jack T. Missionary Society of Connecticut Papers, 1759-1948, A Guide to the Microfilm Edition. Glen Rock, NJ: Microfilming Corporation of America, 1976 [CSL call number CD 3149 .H39 E74 1976]. Hurlburt, Mabel S. Farmington Town Clerks and Their Times. Hartford: Press of the Finley Brothers, 1943 [CSL call number F104 .F4 H8 1943]. National Cyclopedia of American Biography. New York: James White & Company, 1898- , s.v. “Treadwell, John”, vol. X, p. 331 [CSL call number E 176 .N27]. Olmsted, Denison. “Memoir of John Treadwell.” American Quarterly Register. Boston: Perkins & Marvin, 1838-1844 [CSL call number Special Collections LC 564 .A53, Volume 31]. The Public Records of the State of Connecticut. Volume XV. Hartford: Press of the Case, Lockwood and Brainard Co., 1894- [CSL call number HistRef Conn Doc G25 volume 15, 1810-1811]. 34” x 39” in its frame. Painted by George F. Wright (1828-1881).